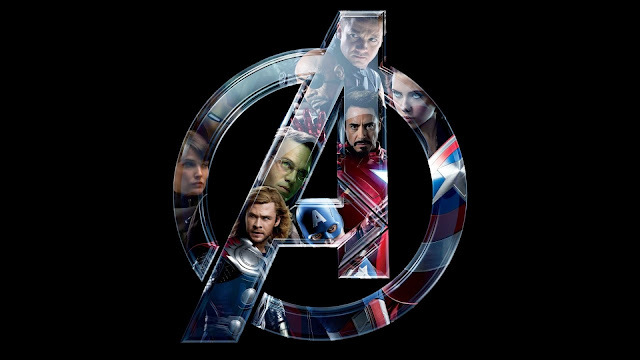 I would assume that it is safe to say that Ant-man and Wasp will be in the sequel to the Avengers. The film looks to be headed for production with Edgar Wright, writing and directing the feature that has been in development at Marvel for quite a number of years. Antman and Wasp are both fan favorites as Avengers, and not necessarily for there skill set (which isn't as cool as being Iron Man, or raging Hulk or a Thunder God), but rather because there's a certain dynamic that these two characters will bring to the Avengers. Ant-man, real name Henry Pym is a scientist that discovers an unusual set of subatomic particles he labels "Pym particles", creates a size-altering formula and tests it on himself. 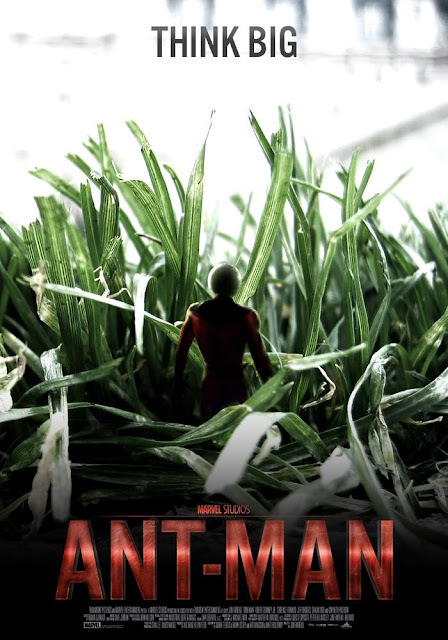 Reduced to the size of an insect, Pym has a dangerous encounter with ants in a nearby anthill. Shortly afterward, he constructs a cybernetic helmet that allows him to communicate with and control ants. 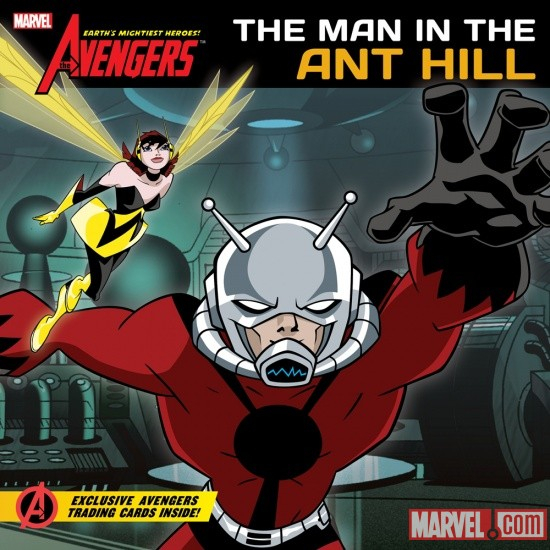 Pym designs a costume and reinvents himself as the superhero Ant-Man. Wasp, real name Janet Van Dyne, is Pym's crime fighting partner, lover, girl friend, wife, ex-wife, etc. (They been through it all)... She simply gains her ability after her father is killed, and she convinces Pym to help her, which he does by giving her a supply of Pym Particles and putting her through a biochemical procedure that grants her wings and fire blast (wasp stings as she dubbed it) when she shrinks. Wasp has really become the heart of the Avengers and we really excited to see her join the team. Granted there powers are not the most exciting, however word has it, that the Ant-man film will see Pym working for SHEILD, and will be something of a spy story. With Pym's discovery of the "Pym particles" you could imagine a lot of organizations will be after it, and given his power set, a spy type film will be fitting. Now let's get into our picks! Looking at how Marvel has been casting there films, truthfully, we don't know if Marvel will be going for a Ant-Man and Wasp, that will be a bit older e.g. Jeremy Renner, Robert Downey Jr., Samuel L. Jackson, or a little bit younger Chris Hemsworth, Chris Evans, Scarlett Johansson. Clearly Marvels only priority is getting the right person for the role, so we split our decision based on that. 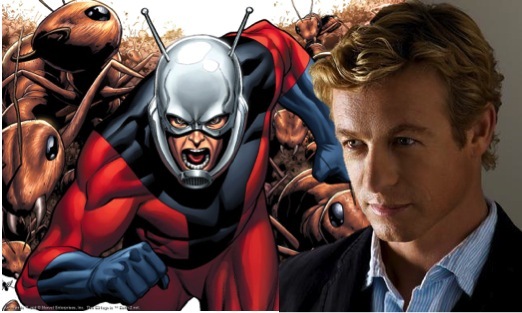 For our older Ant-Man, we decided to go for Simon Baker, most famously known for his role as The Mentalist. If you'd seen one episode of that show you would know that Baker, is perfect to play a superhero that has an incredible eye and a extreme obsession for everything science. Henry Pym is a scientist first, then superhero, Simon Baker can do a brilliantly job of bringing both these facets to life. One thing that will be interesting in Avengers will be seeing Pym and Tony Starks relationship unfold, as they both might be scientist, but there ideals are totally different, and at times could result in them clashing, and if that happens in Avengers 2, you will need a actor that will be able to hold his own against Robert Downey Jr. And we think Simon Baker could do just that. Our pick for Wasp, is the beautiful French star, Bérénice Bejo. She is truly a wonderful actress; you just have to watch The Artist, to see just how mesmerizing she can be. She is perfect to play someone like Janet, even though she might only be known for her silent role in The Artist, a role like Wasp is perfectly suited for her. Wasp is what ties and keep the Avengers together, for the most part. With so many men, with all sorts of powers and egos, Wasp is the heart, the emotion, of the team. She is easily one of the most lovable Avengers as she is quite the personality, and a "fashionista". With Bejo playing Wasp she will be quite interesting, entertaining and perfect, they might just change certain elements in Janet's story to explain the French in her accent. Hey, the Avengers are an international team, and it's not like Marvel haven’t changed characters before! 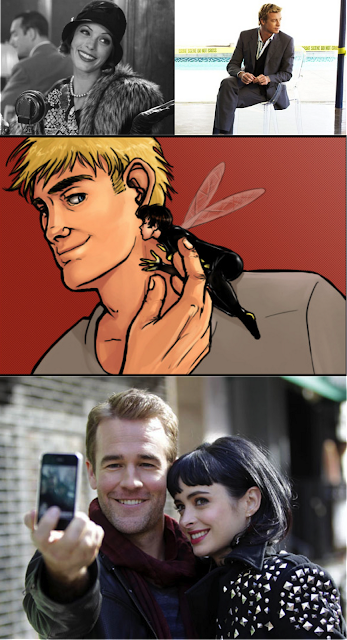 We must admit we got this idea after seeing a trailer of Don't Trust the B---- in Apartment 23, a little while ago, and now that we did manage to actually watch an episode, we think the 2 stars of the show, James Van Der Beek and Krysten Ritter, are the perfect couple to tackle this superhero duo. Granted in the show, James and Krysten are playing best friends and not each other’s love interest, yet they have a certain chemistry with each other that will be needed when playing one of thee most iconic Marvel comic’s couples. James is quite experienced, and is famously known for role as Dawson on Dawson's Creek. 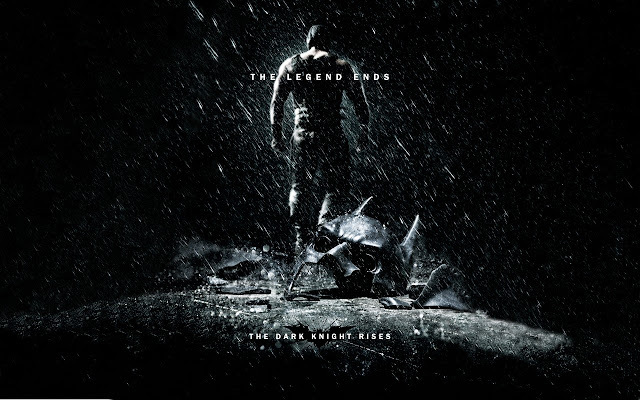 We know that James can tackle both the drama, and comedic elements that will obviously follow in a Marvel film. In Apartment 23, audiences are getting to see James in a different light, as he is playing a hilarious version of himself. If he takes on Henry Pym that could possibly be the role that gets Dawson out of every bodies mind, as James really can really pull one out the bag and surprise fans with his portrayal of Ant-man. 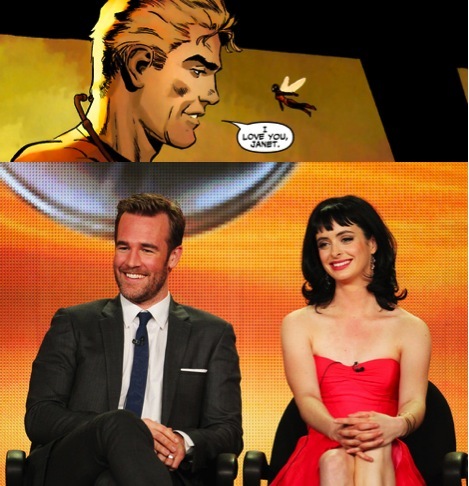 Krysten Ritter, on the other hand, has been at the top of our list to play Wasp, for a very very long time. Ritter is a former model, and a good solid actress, that always seems to put in a comedic performance! Never over the top though, Ritter posses the charms, wit, savvy and style to give us Wasp, as we all know her to be. If Apartment 23 is any sign of what's to come from Ritter, it can only show us that there is big things ahead for this beautiful actress. 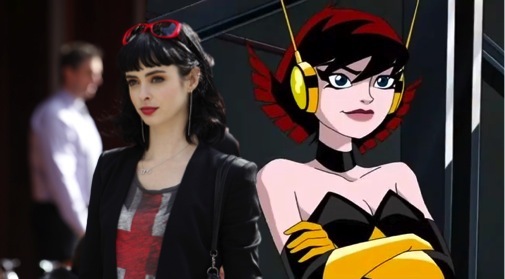 We really hope that Krysten goes for this role as she will really bring Wasp alive, and capture our hearts on the big screen, just as Janet has time and again in the comics. Wasp has a certain childlike enthusiasm about her combined with a rather bubbly personality; quite frankly these are traits that could easily describe Krysten Ritter, our number one choice for Wasp!! I was very satisfied with the support you provided. The man came on time; was very useful with the uploading and unloading of the furnishings etc; and I experienced very well his Patiala packers and movers in Patiala on your wayPackersmoversindia.org returning to Patiala.